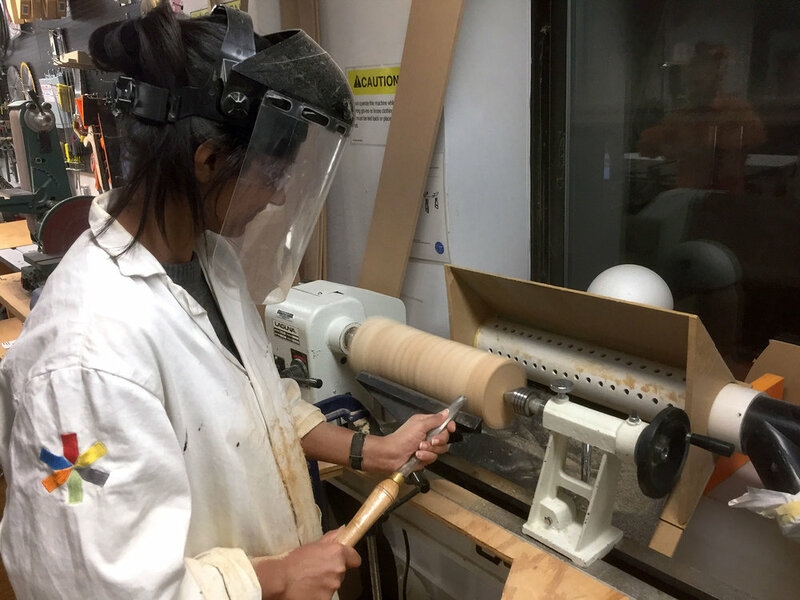 As part of her Masters thesis Designing for Access and Acceptability around Limb Loss and Limb Difference, alum Smruti Adya set out to design a product that responds to the everyday needs of amputees. The result, Swift, is an arm-free crutch that makes quicker work of moving from one room to another in a home setting. Its cylindrical shape expands based on the size of the residual limb, and restricts downward movement (or slippage) through friction. One user remarked that she crawls on the floor to get to the bathroom at night because putting on her prosthetic is so time-consuming. Through online research and her interviews with people who have below-knee amputations, Smruti was trying to conceptualize products around the everyday lives of amputees. “One particular insight really stuck out to me which was that amputees who needed to go to the bathroom , or get a glass of water in the middle of the night would generally just crawl on the floor to get to the bathroom or kitchen,” she shared. 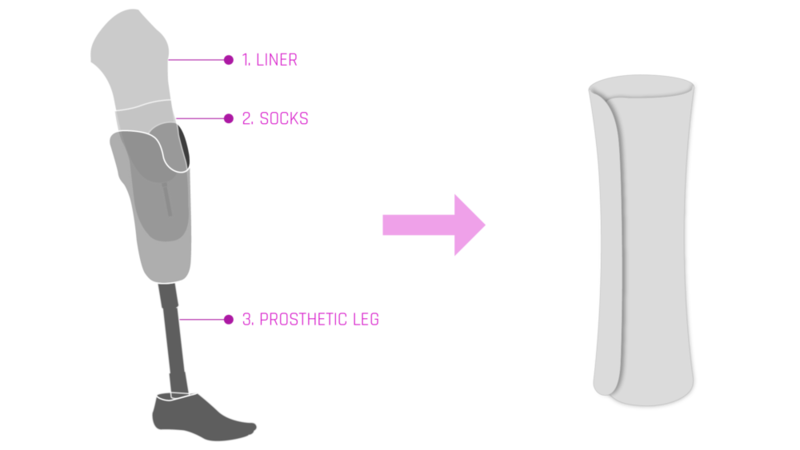 “A standard prosthetic leg can take anywhere from 1 to 5 minutes to put on, depending on the number of socks, type of liner and the socket mechanism. This amounts to between 24-120 hours over the course of a year. Swift would drastically reduce that and make the process, well, much swifter,” she added. For quick journeys like going to the bathroom in the middle of the night, people with lower limb amputations could use a crutch or a wheelchair; however, prolonged usage of crutches creates black patches on the user’s armpits, and wheelchairs are often not a viable option because of stairs, space or financial constraints. “I wanted to create a prosthetic that is as easy as putting on slippers to go to the restroom. 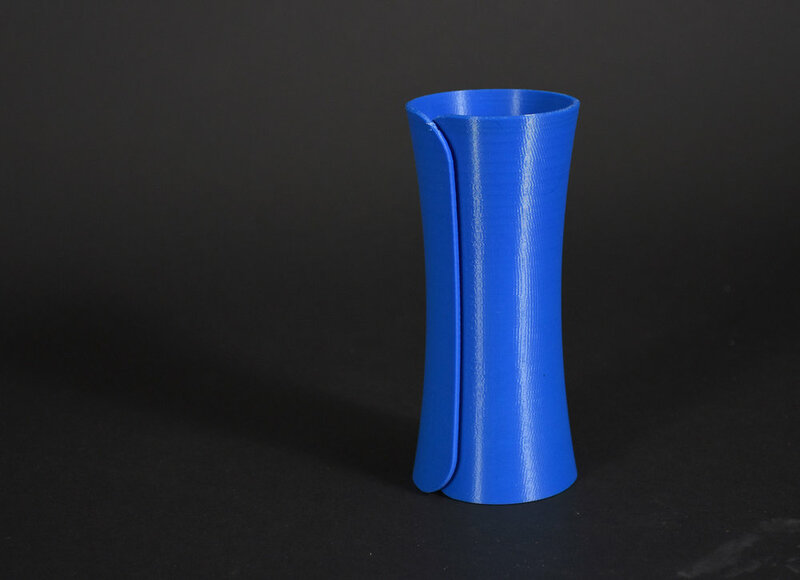 I was imagining this as a very cheap crutch or potentially a 3D printed one that anyone could make for themselves,” Smruti said. This led to the development of Swift, an arm-free crutch that provides quick in-home use to individuals with below-knee amputations. Smruti created two prototypes: one using a PVC pipe, and a small-scale 3D-printed version to test the mechanism. “With affordability and access in mind, a custom Shapeways 3D-print or a mass-manufactured injection-molded version available in multiple sizes on Amazon would be the best channels for distribution,” Smruti said. Swift is currently being developed as part of SVA’s GroundFloor Incubator. Smruti is creating several functional prototypes, for further testing with users, and to gain insights into the scope of the product and its utility in practical applications. The next step will be a short production run of the product. You can see more of Smruti’s work at www.smrutiadya.com.